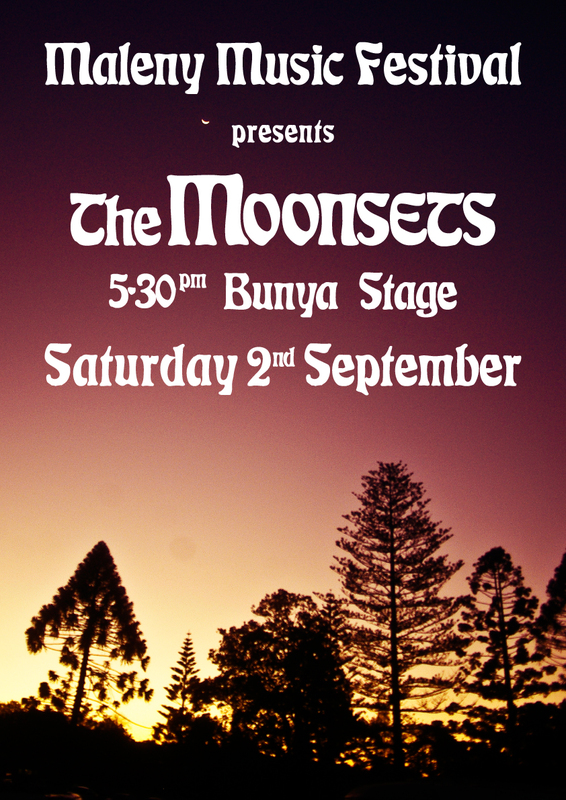 The Moonsets are very pleased to be back at Maleny Music Festival this year!! We'll be upstairs at The Bunya Stage 5:30pm Saturday 2nd September. The boutique Maleny Music Festival, now in it’s 6th year is set in the lush Hinterland of the Sunshine Coast and held in the Maleny Showgrounds, the site of the original Maleny Folk Festival.